28cm tall, 21cm diameter at the top. 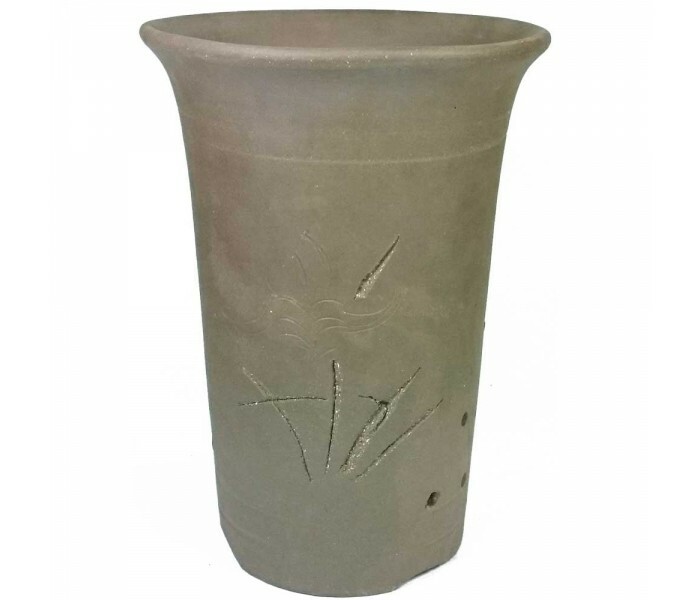 Cascade shaped unglazed bonsai pot. 28cm tall, 21cm diameter at the top. Cascade shaped bonsai pot. 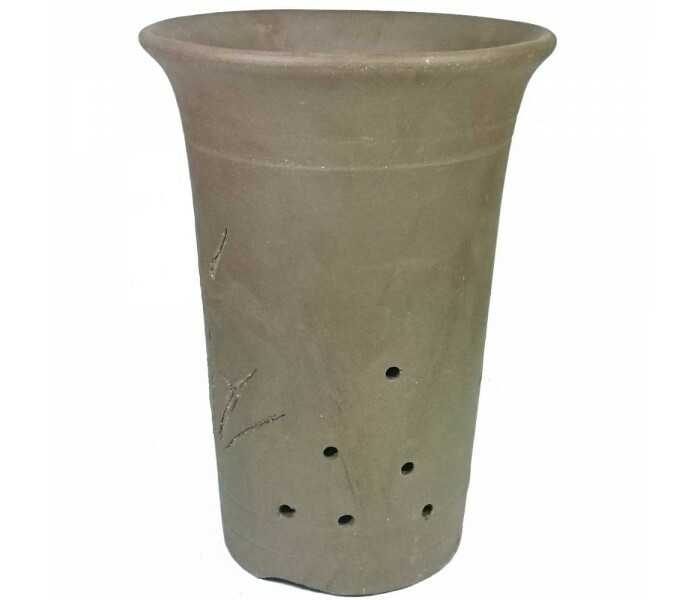 With drainage holes in the bottom of the pot and small holes on the lower sides. 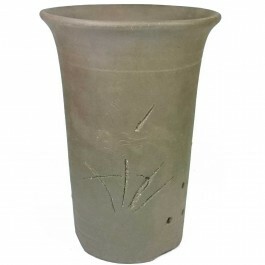 Pot is delicately patterned and each may vary slightly.